The Tahltan Nation Development Corporation (TNDC) is the business arm of the Tahltan Nation. TNDC pursues sustainable and responsible business and economic development opportunities in the region that lead to employment, training and business opportunities for Tahltan members. TNDC provides Heavy Construction and Camp Services for the resource exploration, mine development and mining, building construction, forestry, hydroelectric power, civil, infrastructure and public works sectors. TNDC was established in 1985 to enable the Tahltan Nation to fully participate in the economic activities and development occurring within Tahltan traditional territory and to provide employment, training, and contracting opportunities to Tahltan members. 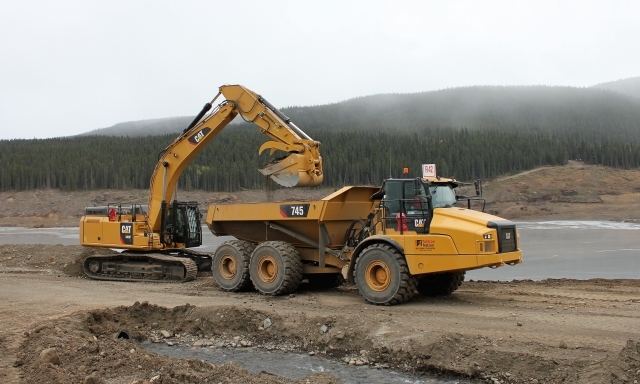 Together with its partners, and backed by a trained and experienced local workforce, TNDC is able to support all aspects of resource and industrial development projects occurring in Tahltan territory. TNDC has established a reputation as an experienced, qualified, reliable and competitive corporation focussed on safety, quality and integrity through its work on hundreds of resource and industrial projects.